Looking to buy Cello Cuisine Insulated Casserole Gift Set? Amazon is selling Cello Cuisine Insulated Casserole Gift Set, 3-Pieces, Ivory at Rs 399. So, Hurry up!! 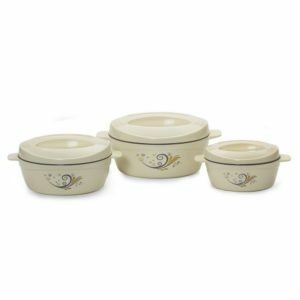 How to Buy Cello Cuisine Insulated Casserole Gift Set, 3-Pieces, Ivory at Rs 399?